Let me first start off by saying by no means am I an expert at interviewing. I got very lucky in my job hunt and had only one interview. I am simply sharing my own experiences and any research I found as I was preparing. Without further ado, my most requested blog post! 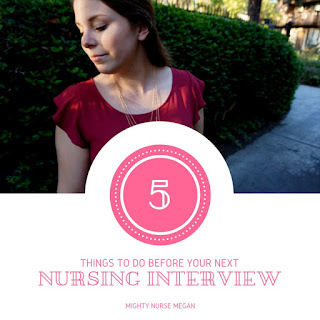 Once I finished studying for the NCLEX, I began studying for my interview. I know that sounds silly, but your anxiety is already going to be heightened on that day, so take the time to make sure you are your most polished self. Including dressing the part! Take a look at this blog post about what to wear to an interview. Finding a job can be difficult and more often then not, you might just end up applying for any position you remotely think you could be interested in doing. Prior to your interview, look up what that certain floor entails. For example, I was interviewing on an oncology unit. Therefore I looked up basics about caring for oncology patients, neutropenic precautions, chemo precautions, opportunities for certifications and advancements, and palliative care. Know how many beds the facility has. Know when the facility was founded and if there is any special history about the naming. Know the company's mission statement, purpose, and goals. Four// Arrive on time to the interview! Get there on time! This means that five to seven minutes before your scheduled time, you are checked in and silently sitting in the lobby not looking at your phone. They want to know that you can be punctual to work and this is your first test. Not only may this be your only opportunity to know about the unit before getting yourself into it, but it shows that you are interested in joining their team. Some examples include what types of classes are provided to employees, what are the retentions rates like, what is the nurse to patient ration, and what qualities do they look for in a teammate. 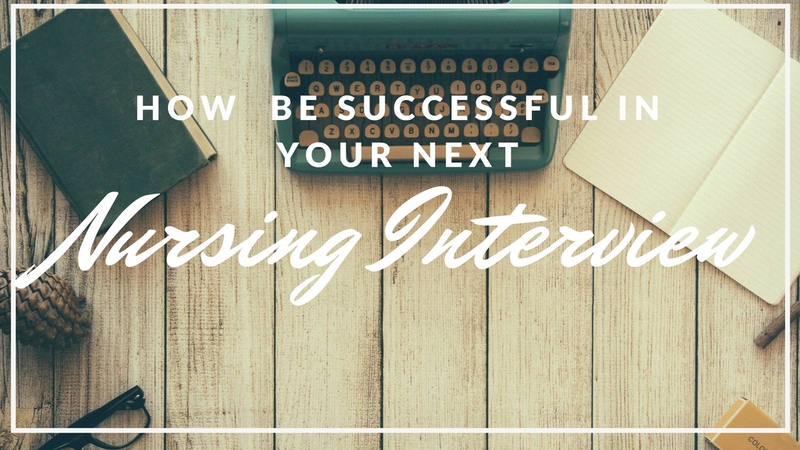 These are just a few tips for conquering the interview process. Stay tuned for some practice interview questions! !